In The 15 Invaluable Laws of Growth, John C. Maxwell makes the case that personal growth is the only vehicle by which individuals arrive at their full potential. Drawing from his own journey of self-development, John shares proven principles for upgrading your capacities to lead others and generate results. As he consistently makes plain, growth doesn't happen automatically. To get where you want to go in life, personal development cannot be overlooked, postponed, or taken for granted. Whether you're just starting your career or nearing its end, this book articulates truths you can apply immediately to make the most of your time, talents, and influence. 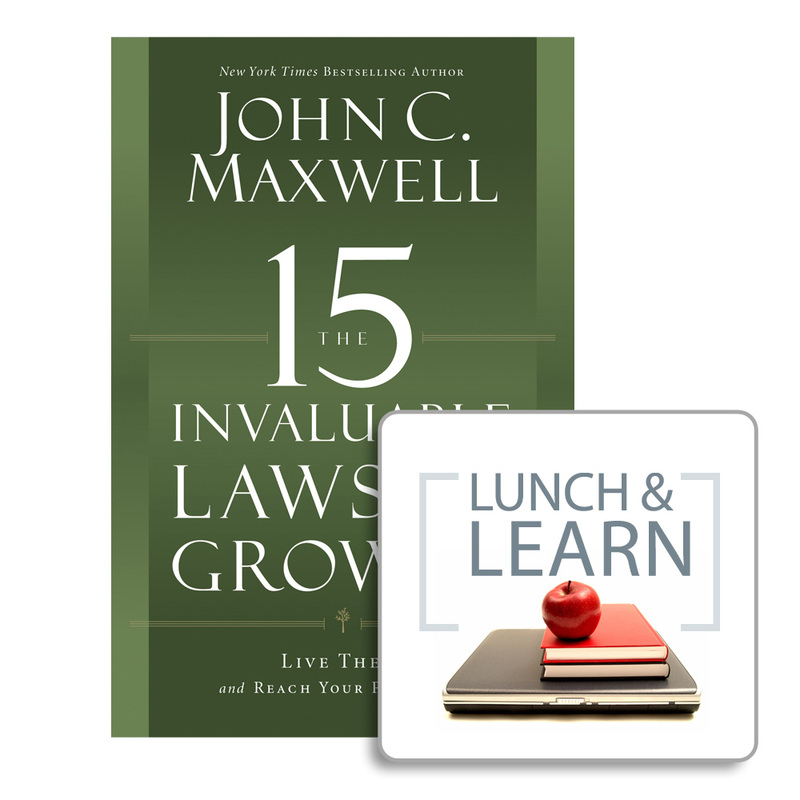 Use your lunch hour just once a day, once a week, or once a month to dive deep into the 15 Invaluable Laws of Growth topic with your team or anyone else interested in personal and leadership growth. The Lunch & Learn guide gives you discussion questions to go along with each chapter and allows you to set your own pace. Your Lunch & Leaern guide is a digital item in pdf format. After purchase, you can access the file using the instuctions below. 1. Sign into your John Maxwell Store account by clicking the "Sign In" link at the top of the screen.2. Click "Completed Orders" under the "My Account" tab.3. Click "Download Files" (in parentheses).4. Click the file(s) you want to download to either Open or Save your file(s).